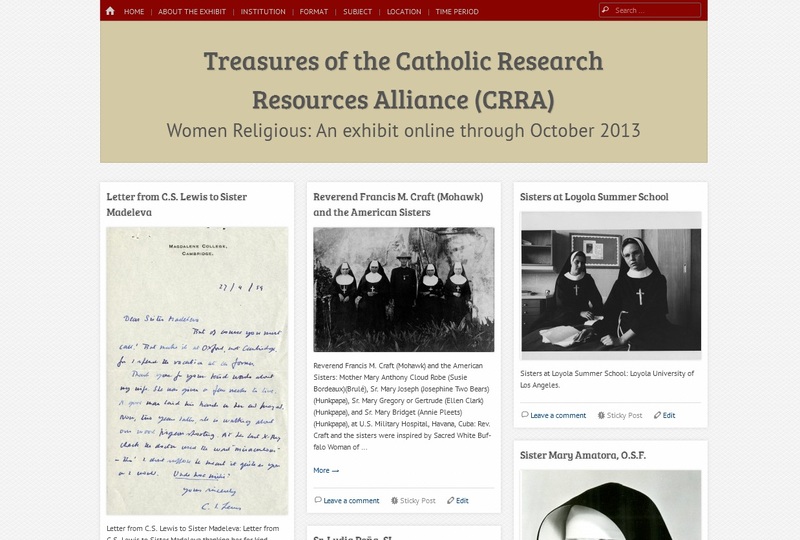 The Archives and Special Collections Center at Seton Hall University is proud to be a part of the new web exhibit Treasures from the Catholic Research Resources Alliance (CRRA): Women Religious. This exhibit, conceived of by SHU Librarian Marta Deyrup, highlights archival and special collections materials related to women’s religious orders held by a variety of institutions, both by members of the CRRA and non-members. Thirteen institutions contributed images on a variety of topics and in a variety of formats, making for a diverse and fascinating exhibit. Each contributing institution gave information about the collection from which they included images. Some collections focus on a particular school, highlighting the academic and service contributions of the sisters and educators, while other collections focus on a particular order, documenting the missionary, nursing, or other work performed by the sisters of that order. Some collections belonged to an individual, highlighting the range of activities of one remarkable woman. All of the materials provide insight into the depth and breadth of women religious, and the many accomplishments or contributions they have made to their orders, schools, families, and communities. The exhibit can be browsed or searched in several ways. Images can be viewed by contributing institution, geographic region, time period, format, or subject, or browsed through from the home page. There is also a search box available. Each image allows commenting, and viewers are invited to comment, or to share information about additional resources not included in the exhibit. Information about several institutions not included in the exhibit is provided on the Additional Resources page, but the exhibit creators would welcome further suggestions. 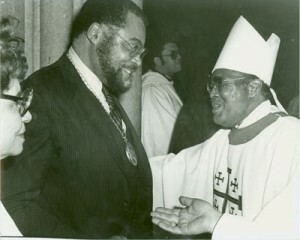 Information about the exhibit and links to the CRRA and the home institutions are also provided. The exhibit will be live through the end of October 2013, and will be available online after that, but comments and questions will no longer be answered. Marta Deyrup of Seton Hall Libraries was the main motivator behind this exhibit, and Tracy Jackson (that’s me!) of Seton Hall Archives helped deal with the images, as did Tom McGee (who created the site) and Mike Soupios of Seton Hall’s Teaching Learning and Technology Center (TLTC). Jennifer Younger and Pat Lawton of the CRRA were very helpful and supportive as well, as were all of the institutions who contributed, and the hardworking archivists, librarians, and special collections folks at each who selected and scanned the images, wrote the description, and sent them along. 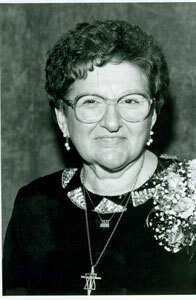 Check out the exhibit, and then explore the related resources via the CRRA’s Catholic Portal!